After arriving in Brighton late in the evening, we all got to know our host families. We had dinner with them every day and talked with them a lot. In language school we concentrated on pronunciation and listening. We had to talk about every exercise and hence practiced speaking a lot. We took a tour of Brighton and had a chance to go to the Brighton Pavilion, which is a beautiful palace that has Asian furniture inside. 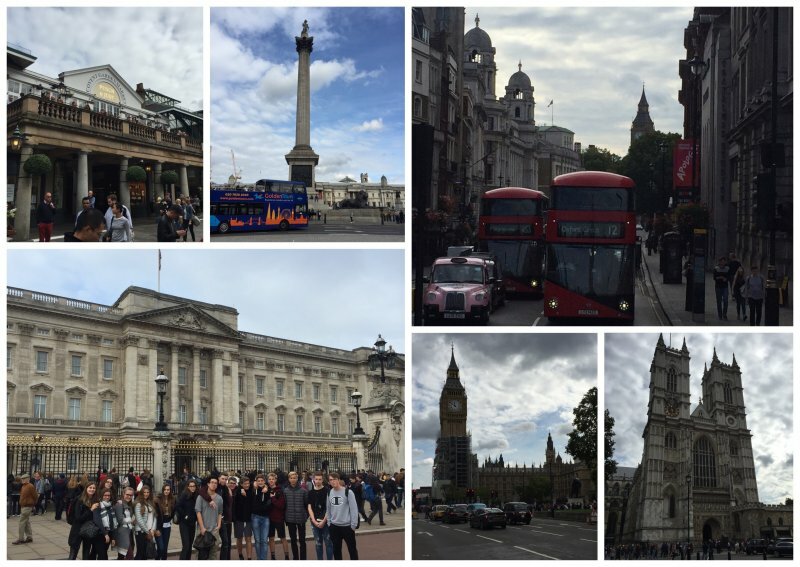 On Saturday we went to London to see the most important sights, like Buckingham Palace and Big Ben and had some time to shop on Oxford Street. 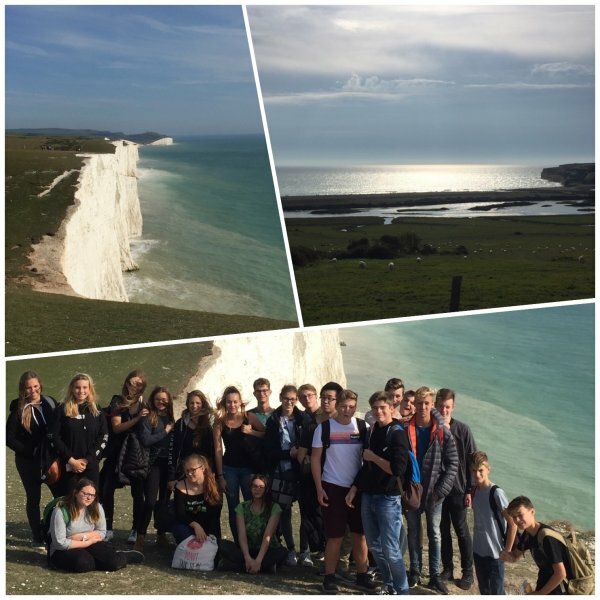 We also saw the Seven Sisters cliffs and the Sealife Aquarium. In our free time we liked going to the beach and Brighton Pier or just doing some shopping in the North Lanes or in the shopping center on Churchill Square. All in all the week was way too short to see everything but we enjoyed it and had lots of fun.